Why I decided to talk today about Collaborative PLM? 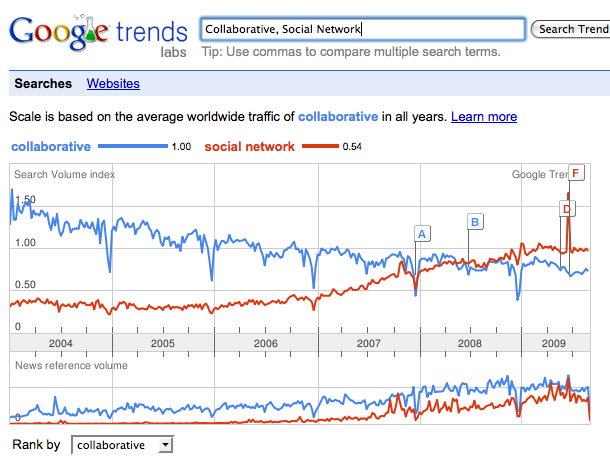 I think “collaborative” buzz was with us quite long time, but these days this trend is going down and “social networks” are coming up. Nevertheless, I think when we start to think about practical ways to implement “People Centric PLM” (Thanks Vuuch Voice for this term), we can see renaissance in collaboration. I figured out 3 possible steps where today’s PLM can be improved by accepting of new technologies and approaches coming from Web in general and specifically from Social Web. They are 1/Content Platforms; 2/Commenting and Discussion Systems; 3/Streams or Waves. I think collaborative systems began to keep a critical mass of content. In the early beginning of collaborative systems our thoughts were about “how to collaborate around content”. So, such content could be 3D Design, Drawing, Bill of Material. We can see ideas of such type of collaboration in systems like 3DLive and many other Viewer nad 3D collaborative systems. However, this is in the past, in my view. These days, what people are collaborating about becomes to be even more important in comparison to an ability to share collaboratively 3D Model between 2-3 designers. Data mining, content analyzes, trends analyzes becomes very important. But, in my view, PLM systems are in the very early beginning to think about these needs and opportunities. How to organize collaborative work of people around a particular design, issue, problem? I think, today, this is what email is used for. However, email is very bad when it comes to the point of discovering who said what and when. Especially, when you want to base your opinion on something has that already been done before. Maybe you just were out of a specific mail thread? So, here I see the next opportunity in collaboration – discussion and commenting. The biggest challenge in such a type of collaboration is to integrate it in our daily life, so it will be accessible and not “yet another system to check during my working day”. I got an interesting question on twitter – what are you checking first in the morning – email or twitter? Frankly saying, I want to check one place and not in multiple places. This is another opportunity for collaboration. How we can unify our collaborative streams. Mails, IM, Twitts, Phone Messages… Is it a new challenge for Unified Communication? Actually, I’m looking forward to seeing what Google Wave will give us in this space. (Google is going to send out 100’000 invitations in the end of September, so I hope to get one). So, what is my conclusion today? Collaboration is a place with an endless set of opportunities since this is part of our everyday life. PLM will need to be on top to satisfy demands of customers in this place. Influence of Web and other consumer-related technologies will be very strong in this space soon. Regarding second point. I think ematrix have it already. It has discussion and commenting facility. I think most of the PLMs have commenting faciliy within workflows. For few it needs to be rearranged. I agreed we want to see improvements in the areas mentioned by you in the article; but it will take time. My point is – In today’s world no one can reject the importance of information available on Internet which is highly used in Modern Product Development either that is simple review on any social site or Customer feed back. To connect this data with PLM; User has [Copy the content] & Checkin into the PLM. that’s why I think PLM is on internet but isolated from internet. Bhushan, Agree. Value of internet information is huge. I think companies are starting to understand value of social network interaction and information possible to mine there with business value and opportunity. Product development is a place where value can be exceptional. Thanks for your comment. Oleg. Oleg,I agree and strongly believe with you that the speed at which the collaboration of the applications is happening is too slow and can be apparently compared with the snail’s pace.Product development in this arena is indeed an opportunity for PLM companies like Dassault Systems,Siemens etc but most of these companies have longer release cycles for their Products.No wonder it just remains potential ideas for future ! ! !